Edible markers with two different tips. Great for drawing on any edible medium! You can draw on cake pops, chocolate, fondant, cookies, Royal Icing and more! 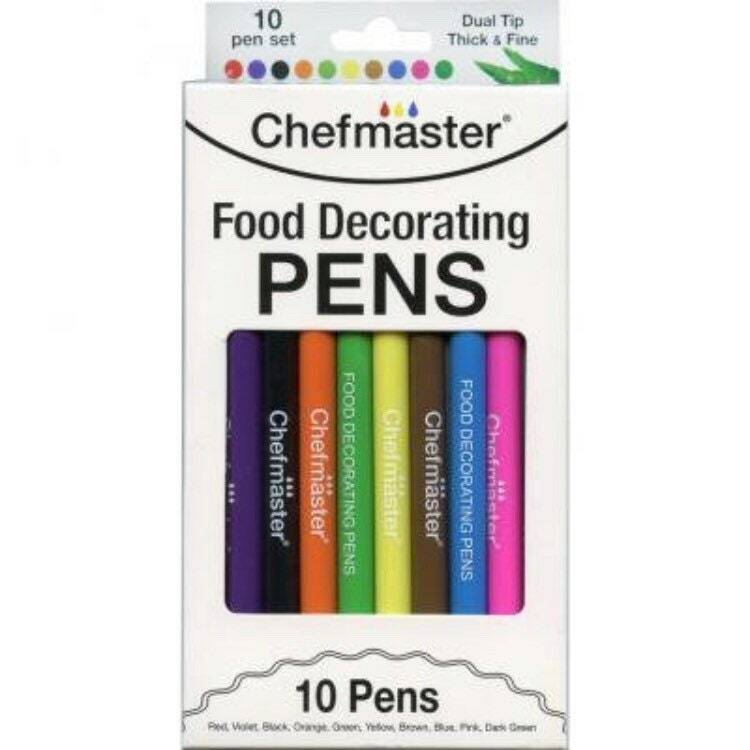 Choose 2 Black Markers or a 10 pack of different colored markers. Thank you! Love all the colors! I ordered this item on March 31st and never received it. The tracking said the shipment label was created, but never went anywhere. I needed this item for my nieces glow in the dark party and was very disappointed that the shop took so long to respond. When I finally got a response they just said "sorry we weren't aware you didn't receive the item". I wish they would have just tried to resend it. They did issue a refund, but had I known I was not going to get the product a month out, I would have ordered this elsewhere. Arrived great and exactly what I needed!